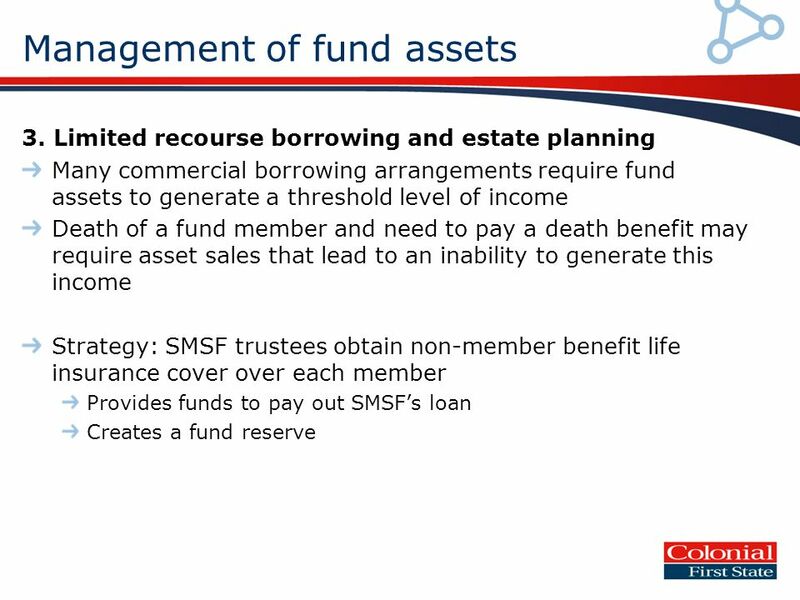 Latest SMSF Estate Planning Trends and Strategies Deborah Wixted Head of Technical Services, Colonial First State. 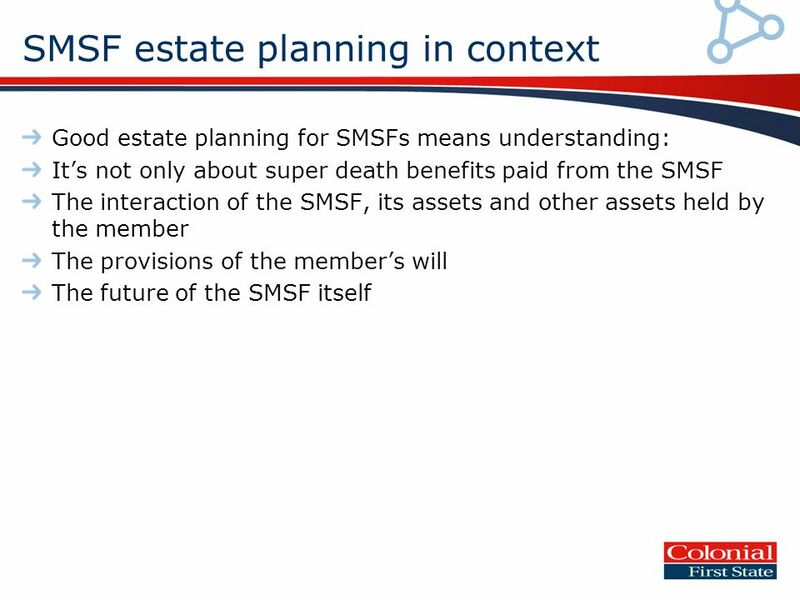 3 Focus of estate planning Who will receive the SMSF death benefit? 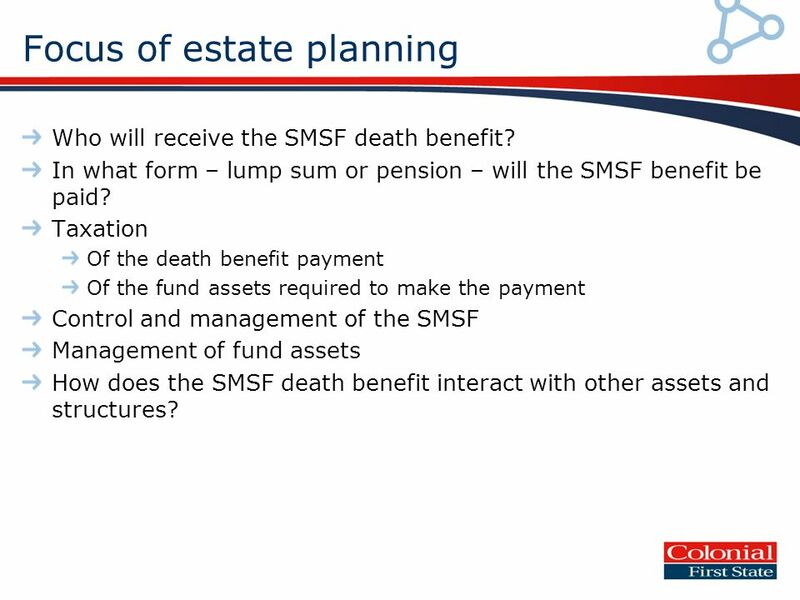 In what form – lump sum or pension – will the SMSF benefit be paid? 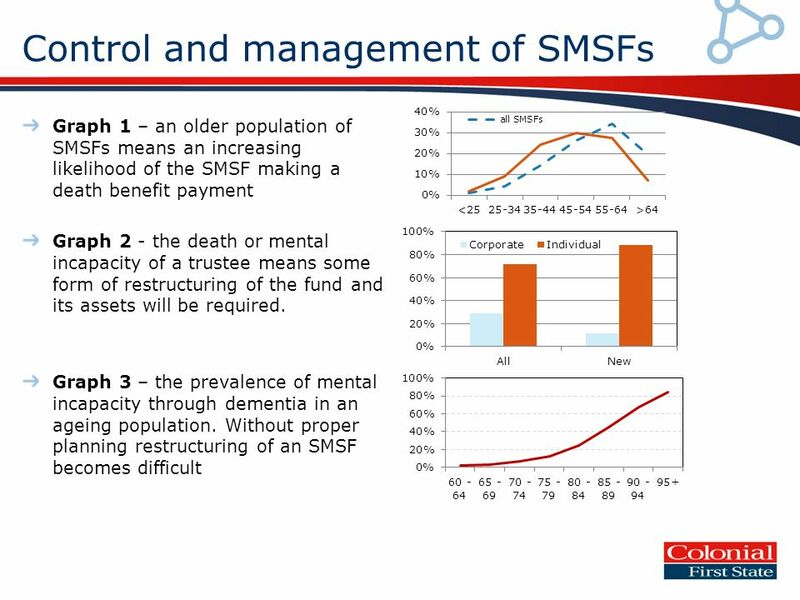 Taxation Of the death benefit payment Of the fund assets required to make the payment Control and management of the SMSF Management of fund assets How does the SMSF death benefit interact with other assets and structures? 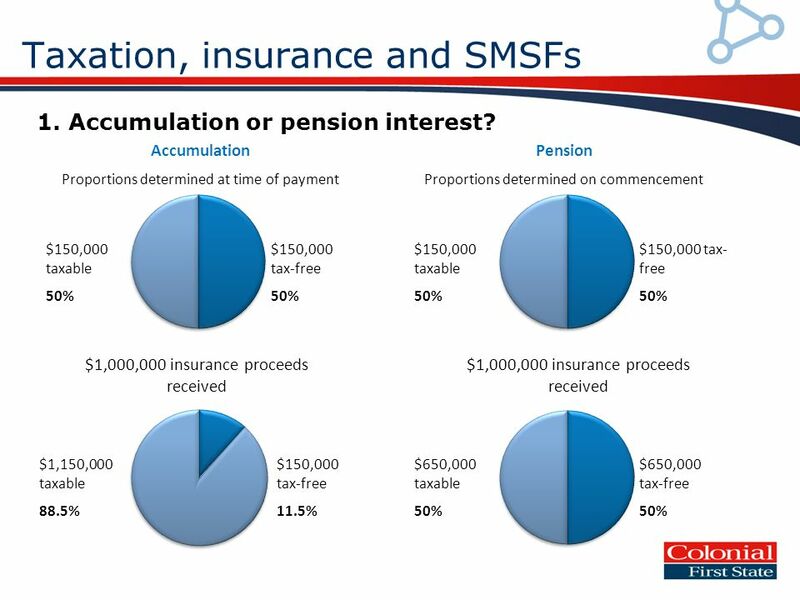 9 Taxation, insurance and SMSFs $150,000 taxable 50% Pension Proportions determined on commencement $1,000,000 insurance proceeds received $150,000 tax-free 50% Accumulation Proportions determined at time of payment $150,000 taxable 50% $150,000 tax- free 50% $1,150,000 taxable 88.5% $150,000 tax-free 11.5% $650,000 taxable 50% $650,000 tax-free 50% 1. 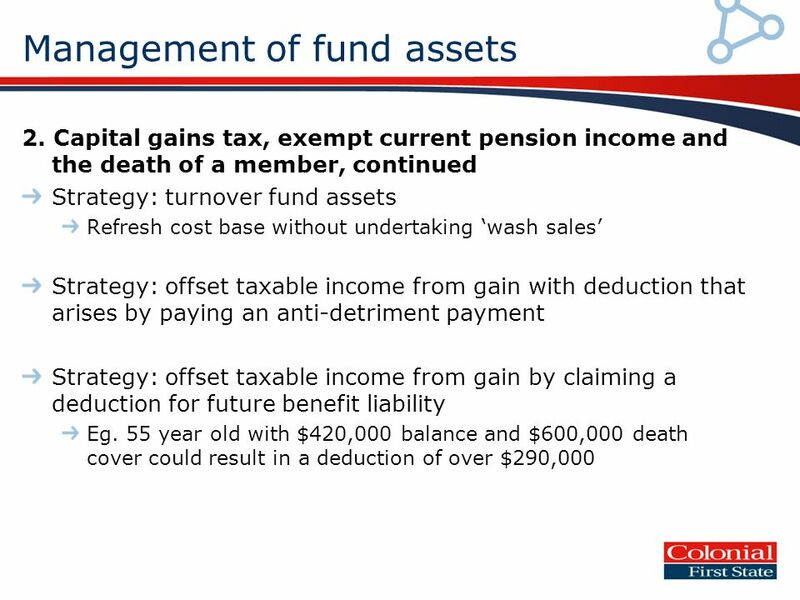 Accumulation or pension interest? 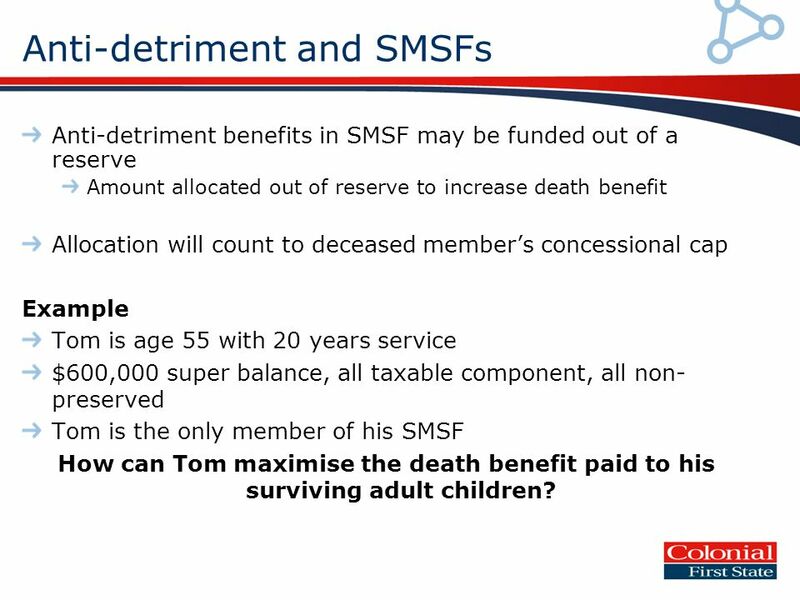 11 Anti-detriment and SMSFs Anti-detriment benefits in SMSF may be funded out of a reserve Amount allocated out of reserve to increase death benefit Allocation will count to deceased members concessional cap Example Tom is age 55 with 20 years service $600,000 super balance, all taxable component, all non- preserved Tom is the only member of his SMSF How can Tom maximise the death benefit paid to his surviving adult children? 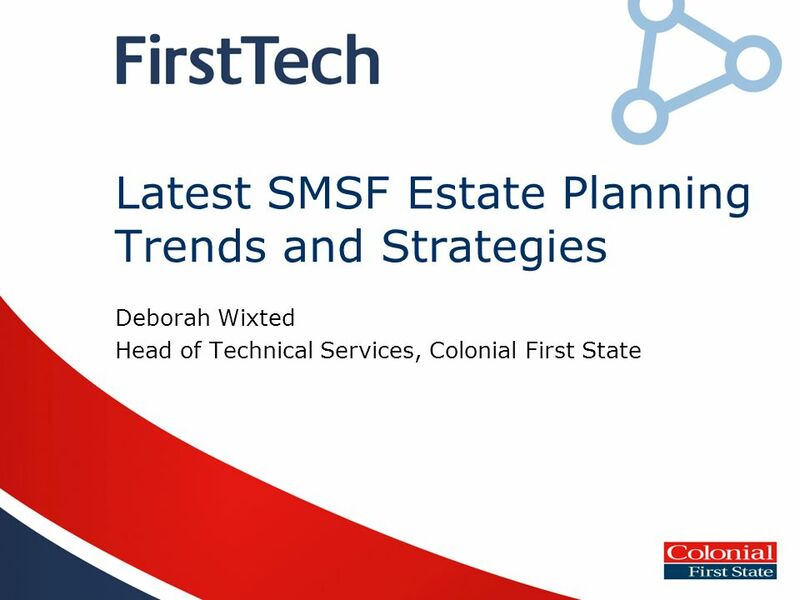 Download ppt "Latest SMSF Estate Planning Trends and Strategies Deborah Wixted Head of Technical Services, Colonial First State." For producer use only. Not for presentation to the public. OLA Premium Financing Loan Exit Strategies. 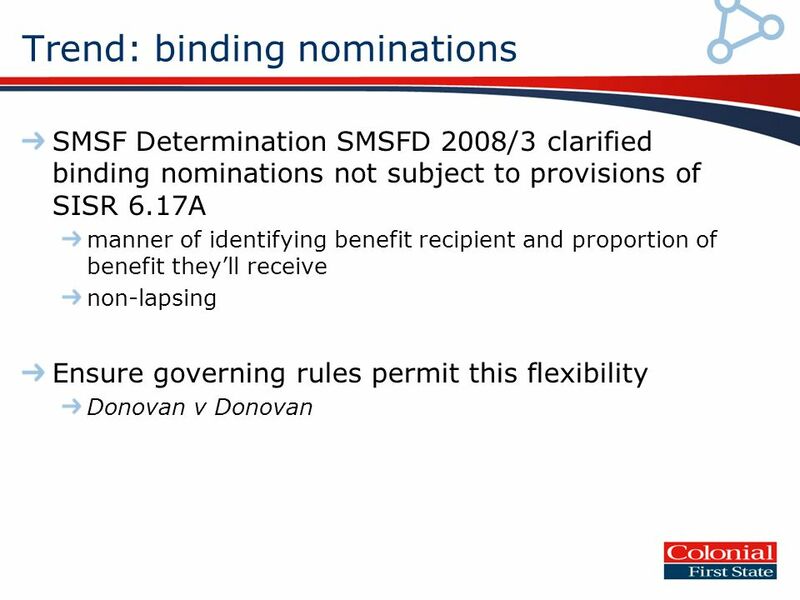 2011 SMSF National Conference Session 1A: The Latest in Reserving Strategies Robert ODonohue Partner, HWL Ebsworth Lawyers. 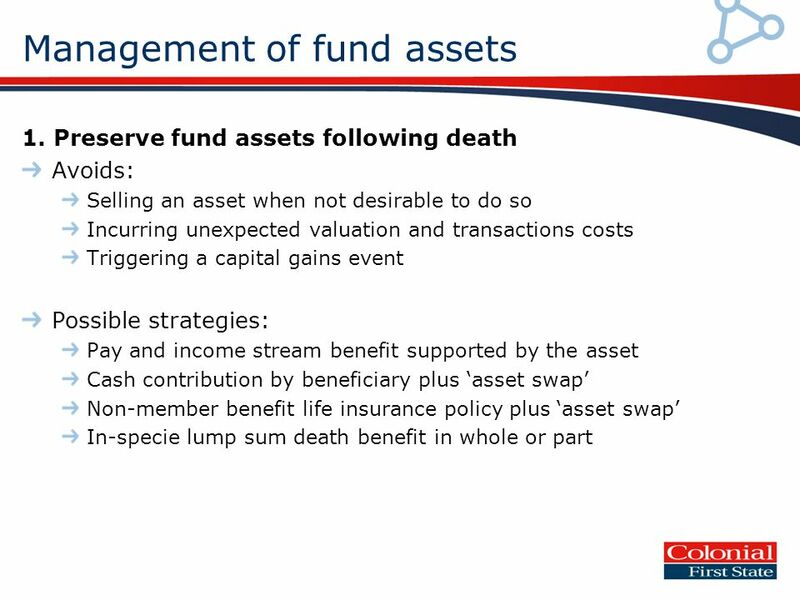 Investments – build your wealth and grow your retirement savings Speaker’s name Title/department Month, 2014. 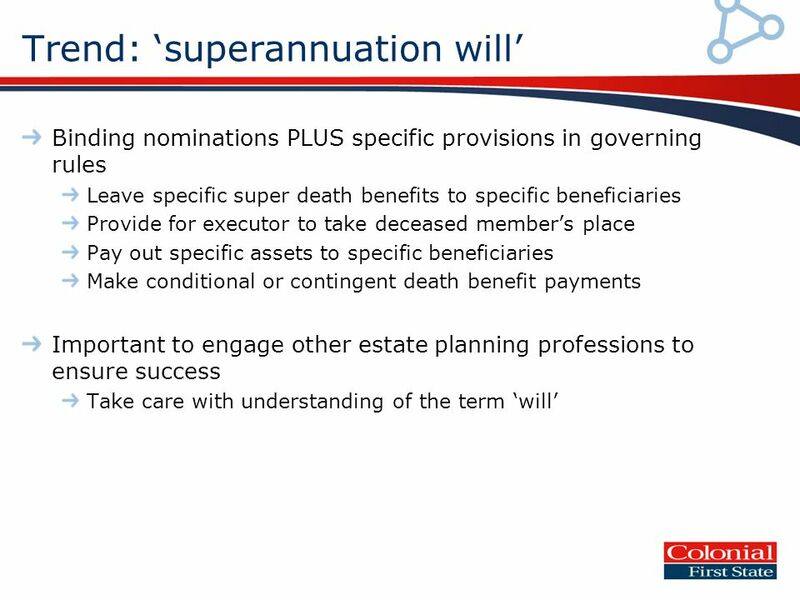 Self-Managed Super Funds Speaker’s name Title/department Month, 2014 Take Control of Your Future. Copyright © 2008 Pearson Addison-Wesley. All rights reserved. 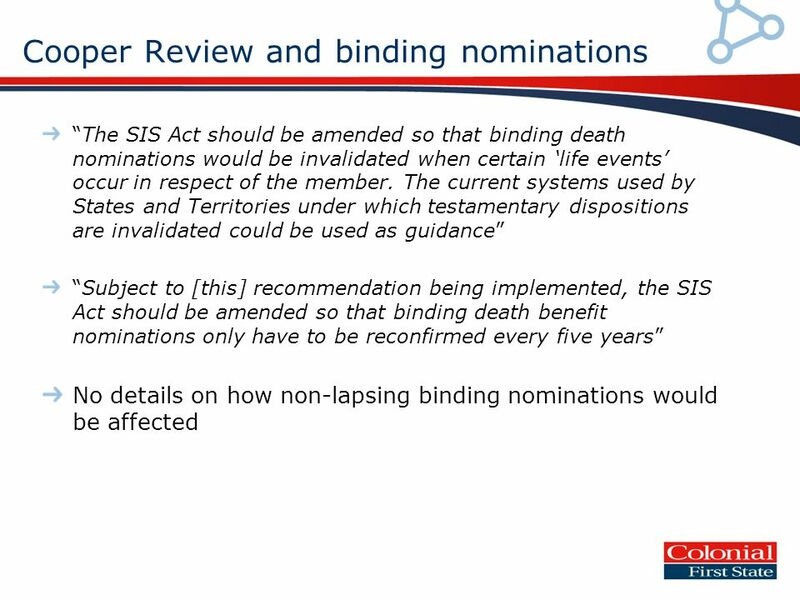 Chapter 13 Buying Life Insurance. 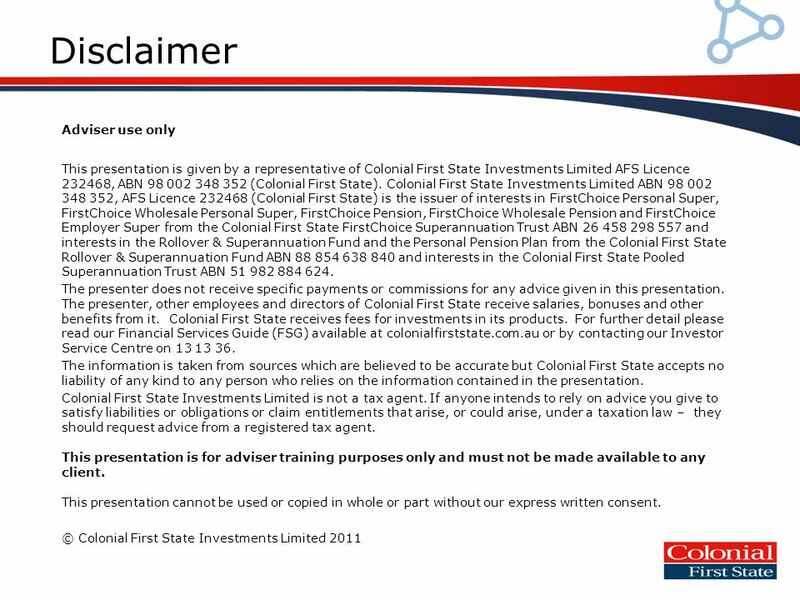 Sunshine Coast Property Network Wednesday 22 August 2012 Accounting and Tax Issues for Property Developers. 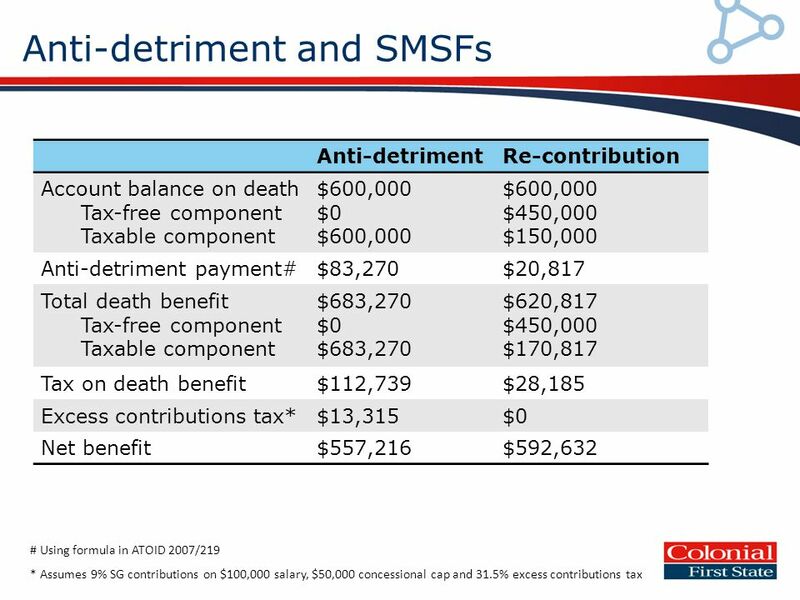 Anti Detriment Payments An accountants perspective Peter Johnson. 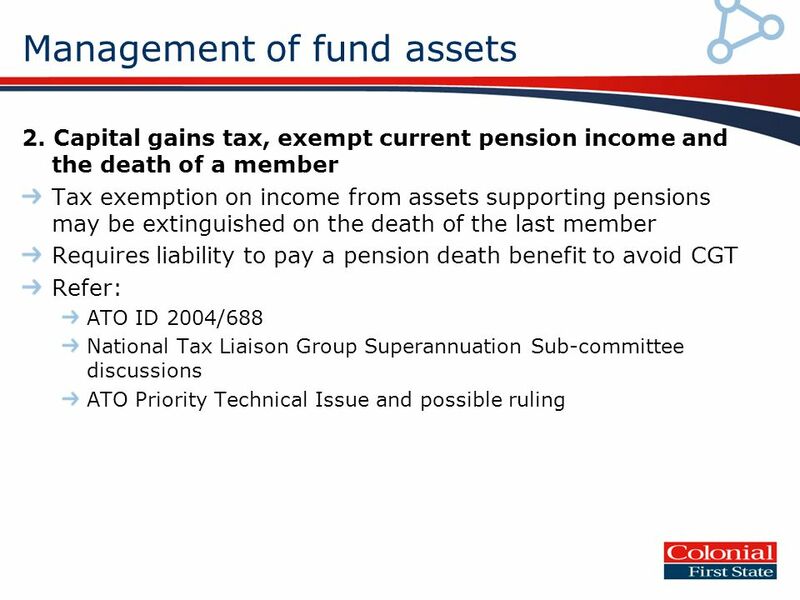 Presented by Top tax tips for end of financial year planning. 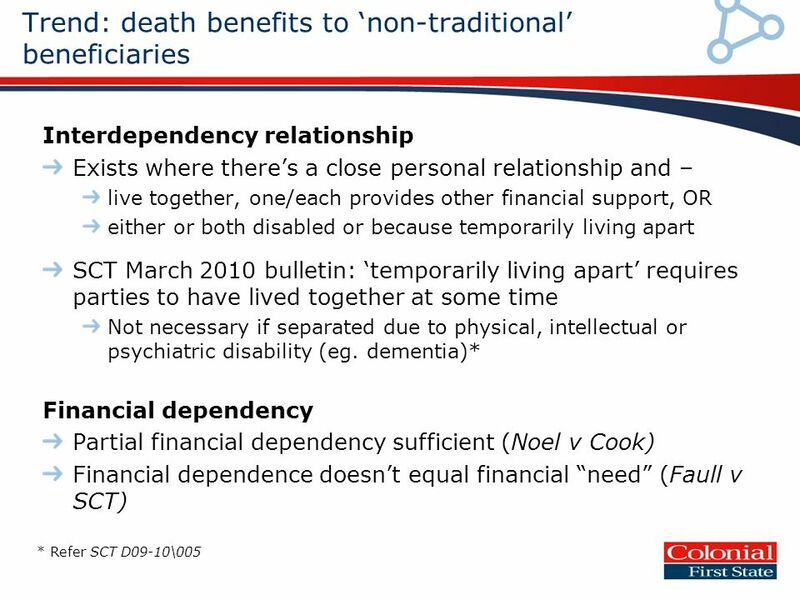 This presentation is directed at professional financial advisers only and should not be distributed to or relied upon by retail customers. AXA Protection. 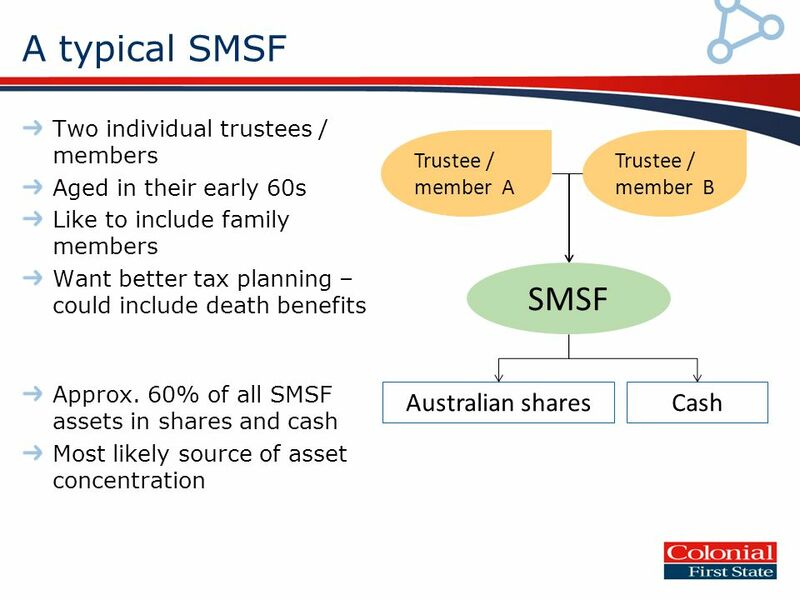 SMSF-BACK TO BASICS WEALTH PLAN FOR THE FUTURE. SUCCESSFUL PRACTICE WORKSHOP This information is current as at July 2011 but may be subject to change. 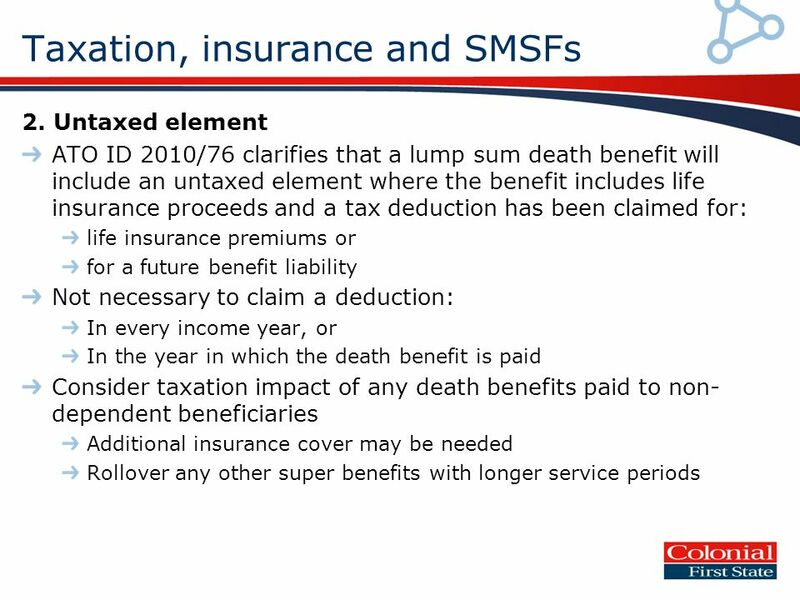 Maximise your superannuation and tax benefits Smart EOFY strategies For 30 June 2013 Maximise your superannuation.